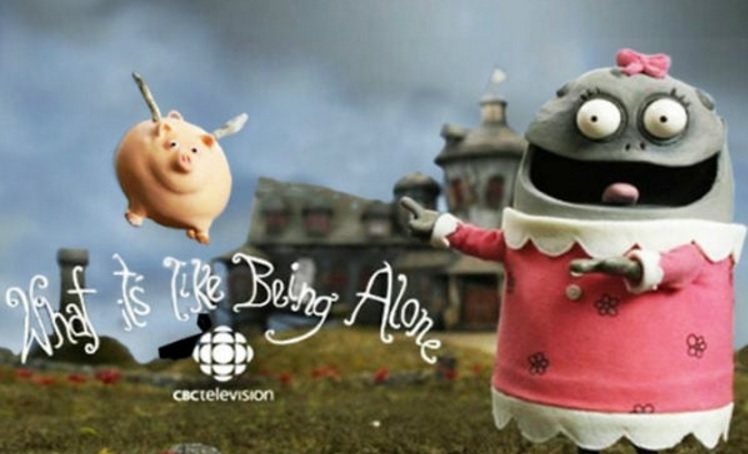 Ten years ago, a new series aired on Canadian television which I thought was very funny. What It's Like Being Alone had a queer sensibility about it. Created by Brad Peyton, the show told the story of orphans and their desire to get adopted. The main character is the sassy Princess Lucy and I loved her diva demeanor. In fact, I found all the characters endearing in their quirky ways with excellent voice work by Stacey DePass, Adam Reid, Dwayne Hill, Julie Lemieux, Peter Cugno, and Andrew Sabiston. This black comedy was not a ratings success but does have many fans. Thirteen episodes were produced and I'll be posting a new episode each day till the end of the month - hope you like it, too! Episode 1 - "Being Alone For Beginners"
Synopsis: Princess Lucy arrives at the Gurney Orphanage and has trouble adjusting to her new surroundings. Later in the episode, Princess Lucy sees a chance to get adopted! Is this a light at the end of the tunnel... or an oncoming train?